Tangled and True: all modern baby. I was recently introduced to All Modern Baby. This children's furniture store offers products that range from maclaren baby carriers to these stokke tripp trapp high chairs that I have completely fallen in love with. 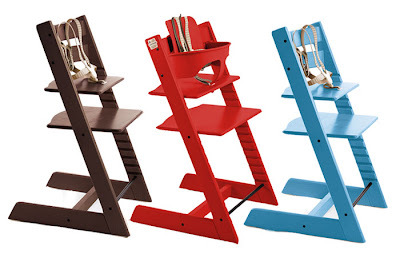 It comes in multiple colors and grows with your child all the way to their teenage years if you desire. 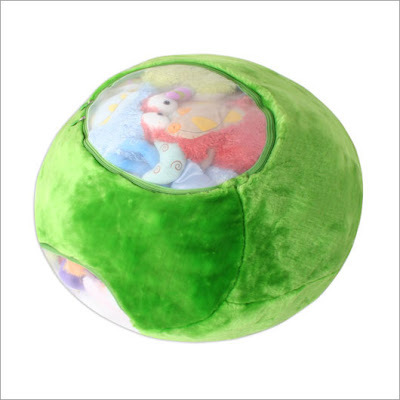 While browsing the All Modern Baby site I ran across this genius animal toy bag. I have been a longtime fan of boon products. Their Frog Pod is one of my all-time favorite things. Their stuffed animal toy bag has become a quick addition to my favorites. We have SO many stuffed animals and they are rarely played with BUT the girls can't bare to part with any of them. Enter my new best friend. 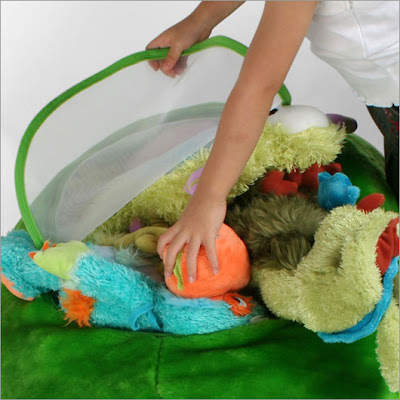 The boon animal toy bag. There has never been a better compromise. We threw all the stuffed animals in through the clear mesh windows and zipped them up. It opened a good amount of space in our toy closet and made the perfect soft beanbag-esque chair for reading books and watching movies. I'm happy, they're happy and once again life is in perfect harmony. I absolutely adore my son's bright red Stokke. We got it for him when he outgrew his highchair, but still needed support. He has Down syndrome and a new diagnosis of autism, and that chair has been a staple in his life for a long time. That is "his" chair, and we all know it! I am working on trying to find a blue one for his little brother. Let me tell you, these things really can take a beating! They are so well made, I know it will be in our family forever. I just visited allmodernbaby.com for the first time last week and have to say that their site is pretty cool. The stuffed animal bag is a great idea! Cool! Why didn't I think of this?